ET LiveApp is Responsive Joomla! template that targets for app showcase websites. 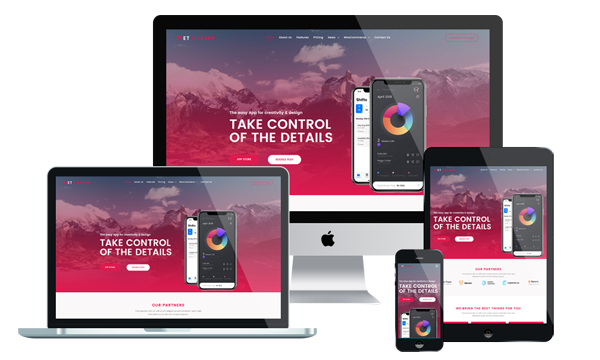 The themes are expertly created to be professional, with up to represent your gorgeous applications right in front of your viewers. Our App Showcase Joomla! Templates promote modern visual effects and designs to help you charm the viewers. This way, you’ll convince them to stay and see that your application is actually the best to choose. This template is created to be fully responsive and user-friendly, with great features such as drop-down menus, making navigation of your website easy. ET LiveApp uses high-quality images representing modern concepts of technology, slowly introducing the viewer in your world. The main slider is the perfect place to show the viewer why you’re worth his or her attention. The color scheme and content organization complement each other creating a relaxed and interesting atmosphere. Also, the main menu helps in allowing the user a certain freedom during navigation. App Showcase Joomla! Templates are 100% responsive, which means that they are accessible via all desktop and mobile devices thus allowing anyone, regardless of platform and device, to visit your site. It also builds with latest Bootstrap CSS Framework, Support Font Awesome and K2 extended style. Furthermore, it comes with 4 color schemes helping to create excellent websites with various layouts. The time to sell app showcase is now, so don’t waste your time and buy the best Joomla web design app showcase template today!